15 Best Hotels In Australia For Those Who Want Nothing But The Best! 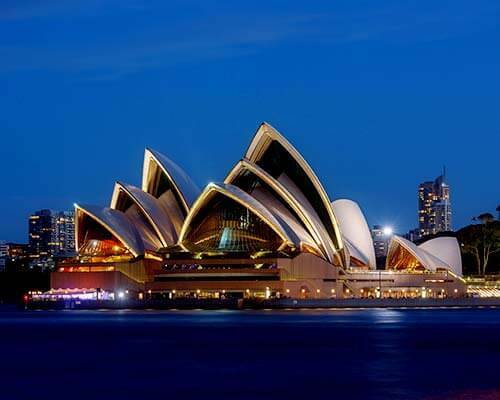 An exciting country with varied topography and an amazing flora and fauna, Australia is a paradise for nature lovers, urban dwellers, and peace seeking souls. In other words – it has it all. And so does its hotels! 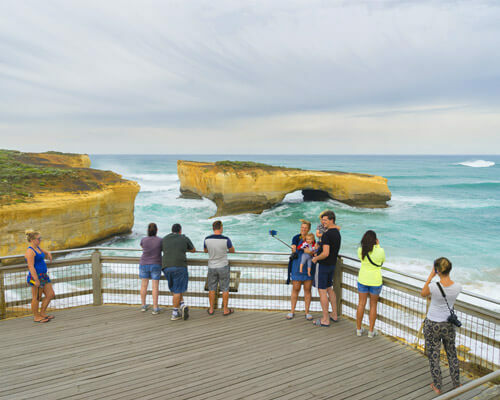 From riverside luxury dwellings to a desert oasis to a vintage and urban luxurious experience – we bring you a list of 15 amazing hotels in Australia so that it is easier for you to select your paradise when you go for that much awaited holiday. 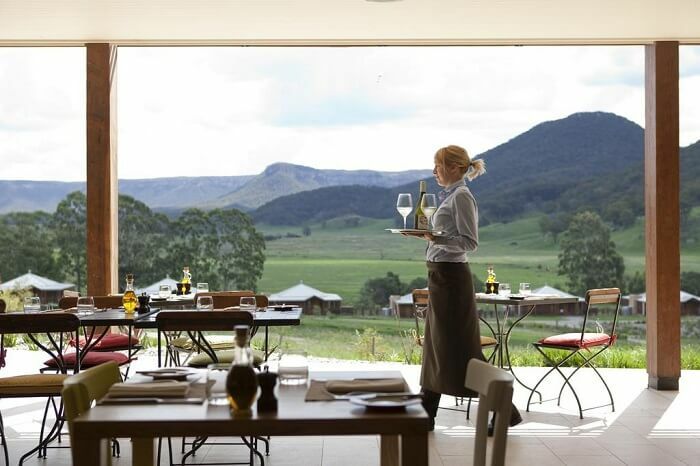 Emirates One&Only Wolgan Valley is a mountain view facing luxury spa resort that is located within the Great Blue Mountains World Heritage Area (wildlife conservation reserve). It is probably the best hotel in Australia and offers many one of a kind features and services. 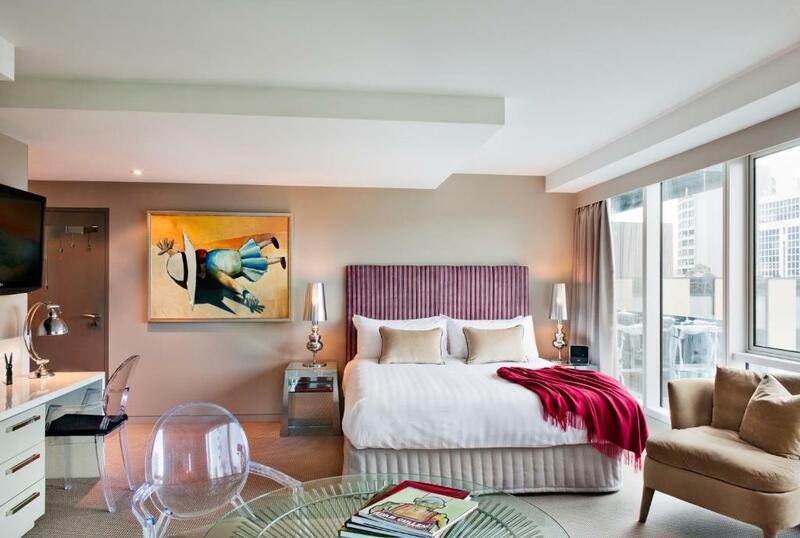 The free standing suites here have custom furnishings, fireplaces, and all the modern tech. 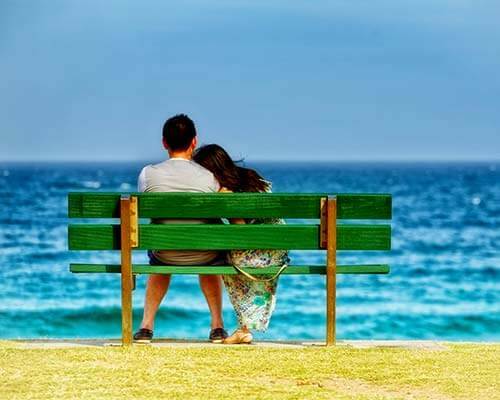 One can also roam around on a bike, go for nature walks, heritage safaris, wildlife safaris, and do horseback riding. 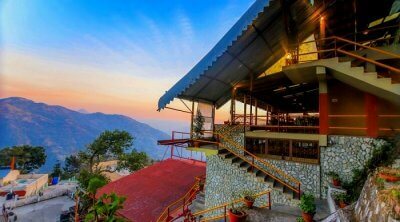 The most iconic feature of this resort is its nature inspired spa that offers a rejuvenating experience in the lap of mountains. 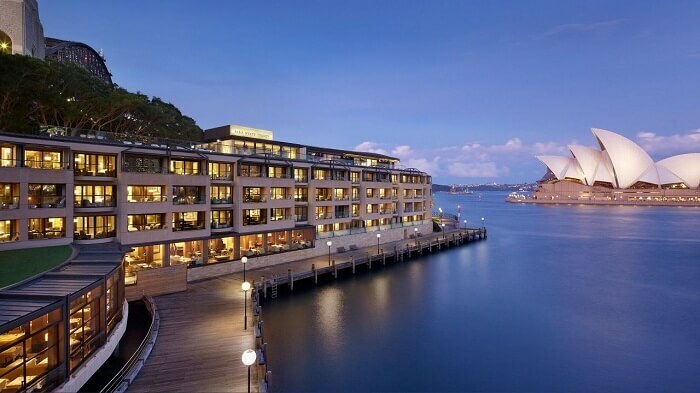 The Park Hyatt Sydney is all about sophisticated luxury. 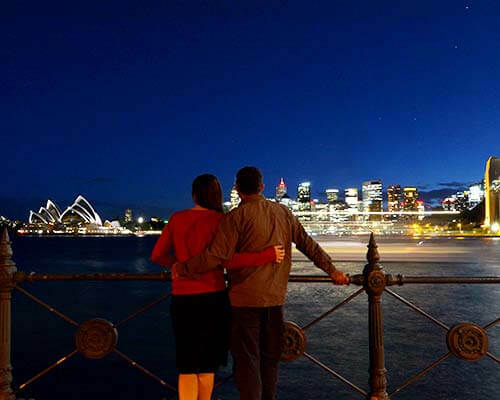 It overlooks the Sydney Opera House and is just 4 km away from the famous Darling Harbour. 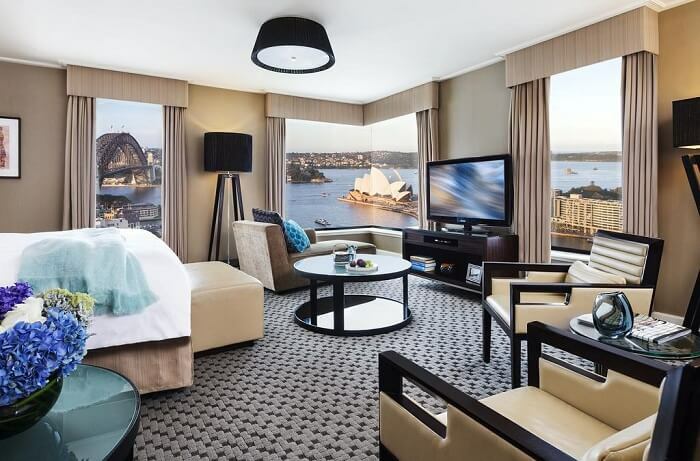 The posh 5 star hotel in Australia has everything you would want from a top class property including suites with living rooms, bathtubs, Bose sound system, and amazing hospitality. 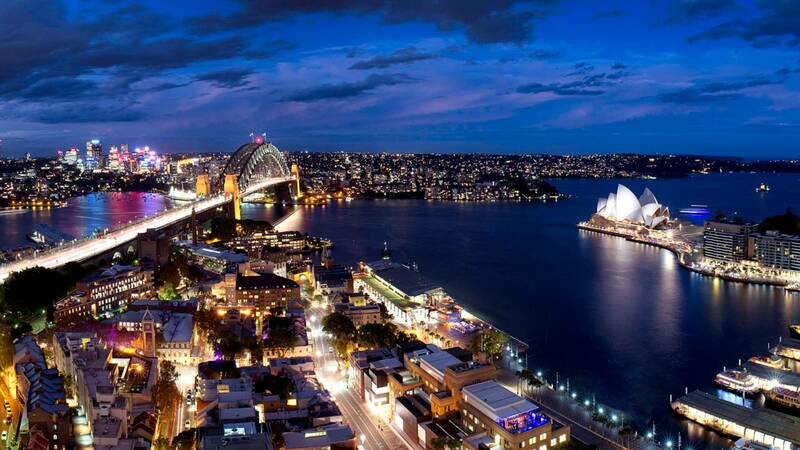 The property also has a stellar European restaurant, a bar, an eatery, and one of the best spas in Sydney. The rooftop pool and deck with harbour views is an added bonus you won’t forget that easily. This animal themed hotel in Australia is all about the experience. 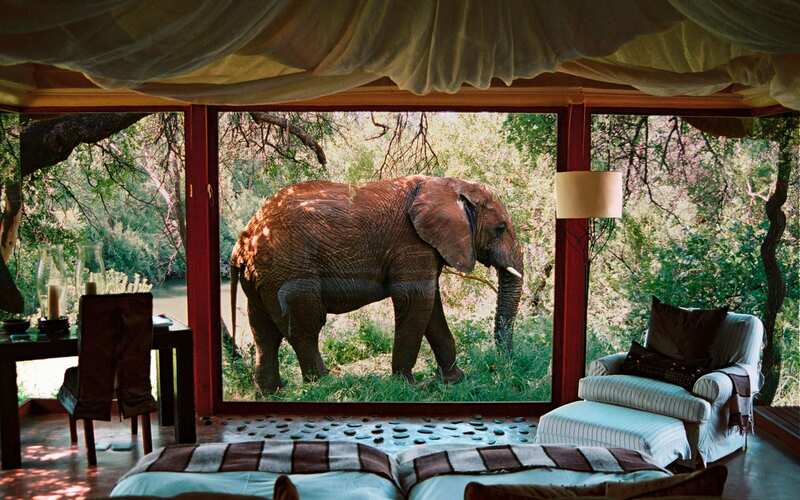 It features treehouse suites that overlook the giraffe quarters and bungalows and lodge rooms with glass rooms that provide views into the animal quarters. Luxury includes flat screen TV, WIFI, and whirlpool tubs in some rooms. 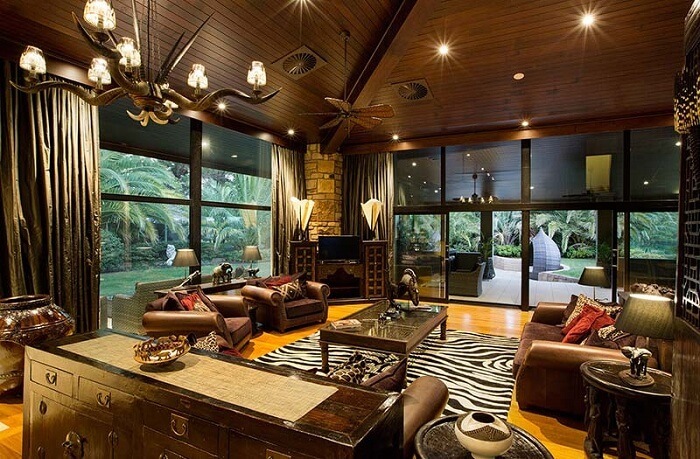 The property also features an African themed restaurant which has a terrace offering views of the wildlife. Apart from the above, there are private zoo tours and overnight safari available for a fee. 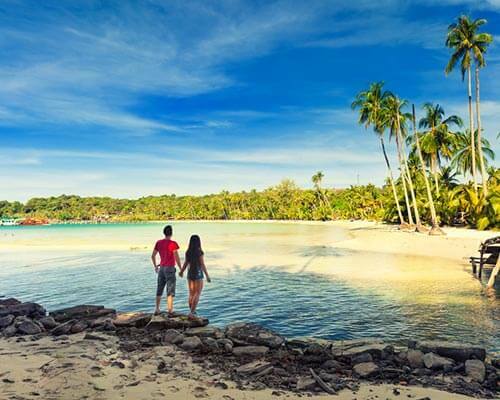 Overall, this is a luxurious paradise that is perfectly complemented by the wildlife all around. 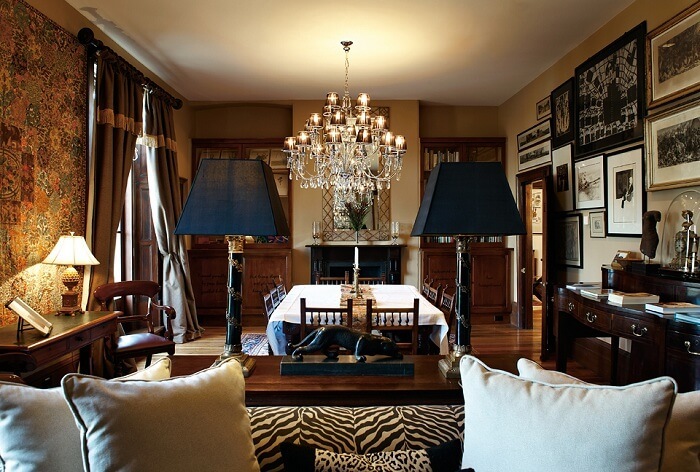 Modern yet historic in its roots, COMO The Treasury is one of the best hotels in Australia. It occupies a mid 19th century building and has handcrafted furniture and decor. Everything in the hotel oozes of minimal classic luxury, a signature COMO style, that offers a revitalizing experience to all the guests who stay here. 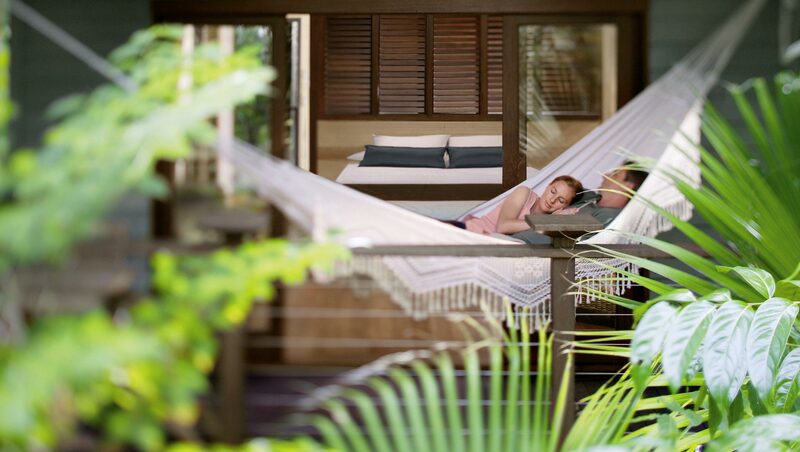 The property also features two top class restaurants, a bar, and the famous COMO Shambhala where guests can experiences a plethora of wellness therapies. 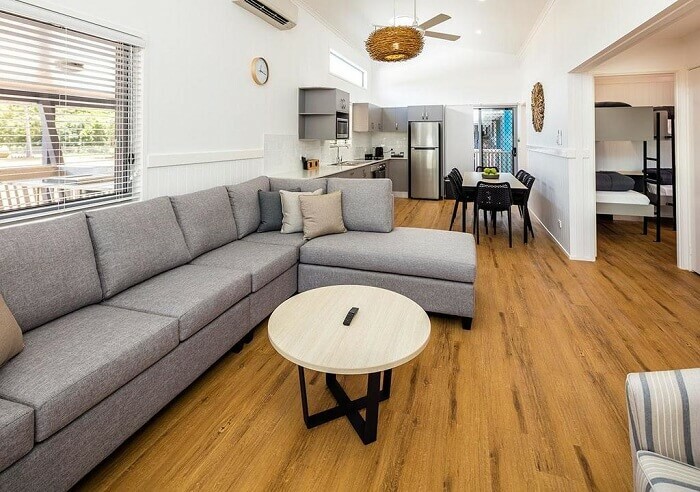 One of the best hotels in Australia for families or large groups, the Sea Change Beachfront Apartments are perfect options for those who prefer living in large spaces accompanied by breathtaking ocean and beach views – basically, the true vibe of Australia. 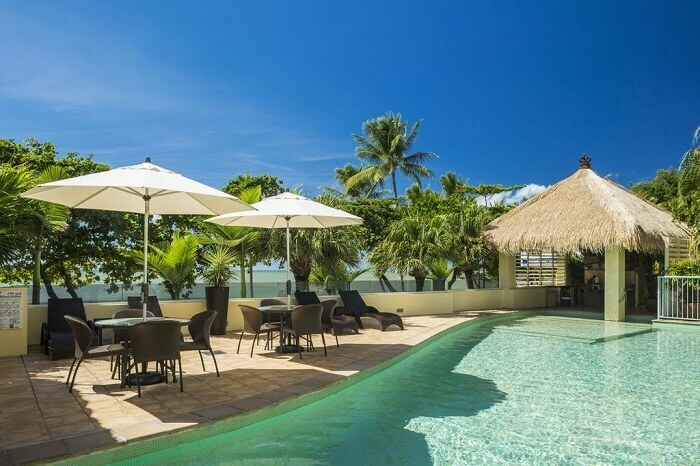 This property which is situated in Cairns has a resort style pool, Spa, modern tech, and luxury – and would certainly be a hit among beach people and lazy holiday lovers. 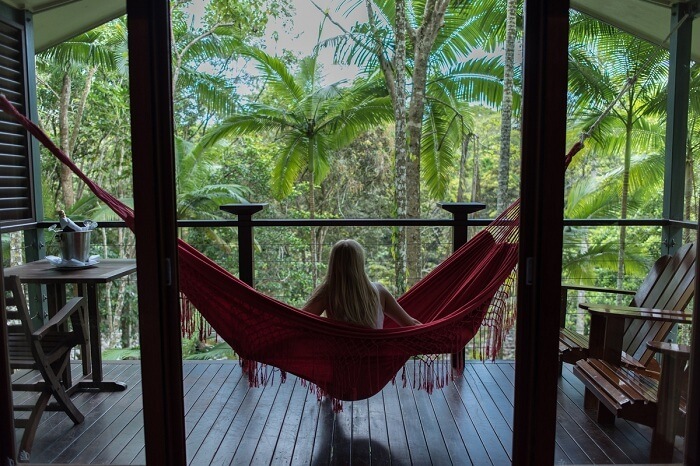 Islington Hotel in Australia is a small boutique style property that is perfect for those who only desire the best from life. It features a garden and views of Mount Wellington and a tranquil vibe that would make you wanna stay here forever. The rooms are well equipped with modern tech and there is an extensive wine cellar on board too. 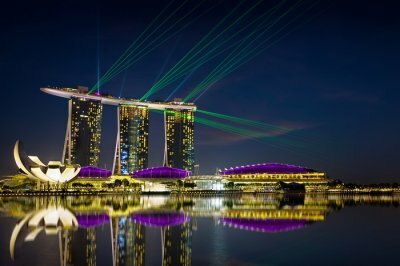 If you’re a lover of luxury and all things fine, then this is the place to be. This French style hotel is situated by a creek and offers a true romantic escape to lovebirds. Surrounded by greenery from all sides, it is 5 km away from Kondalilla National Park and is a perfect escape into nature. There are suites, stand alone cottages, and every kind of luxury you can image including marble bathrooms and heated floors. 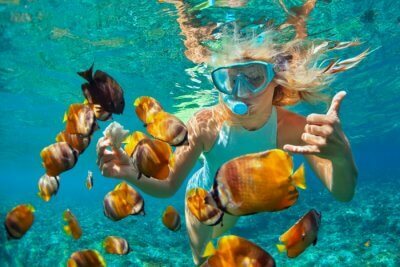 To be here is no less than paradise but you can only know when you come visit this place. 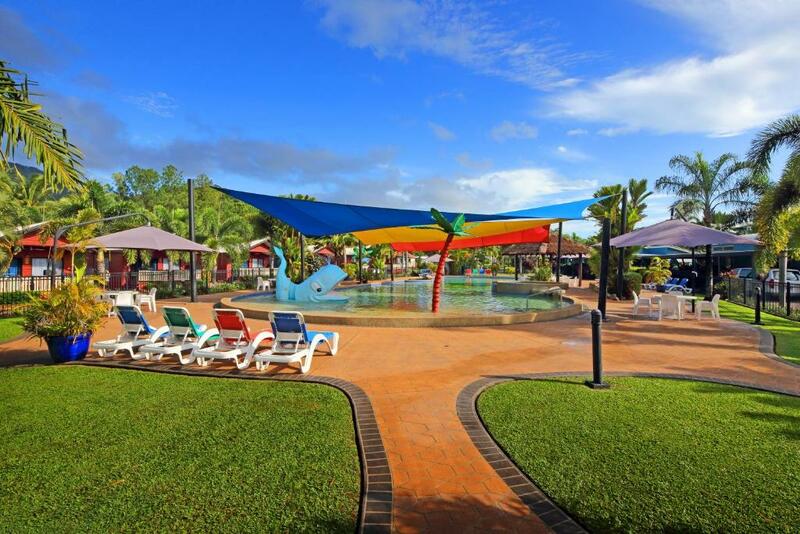 The Ingenia Holiday Cairns Coconut Resort is one of the best amusement themed hotels in Australia. 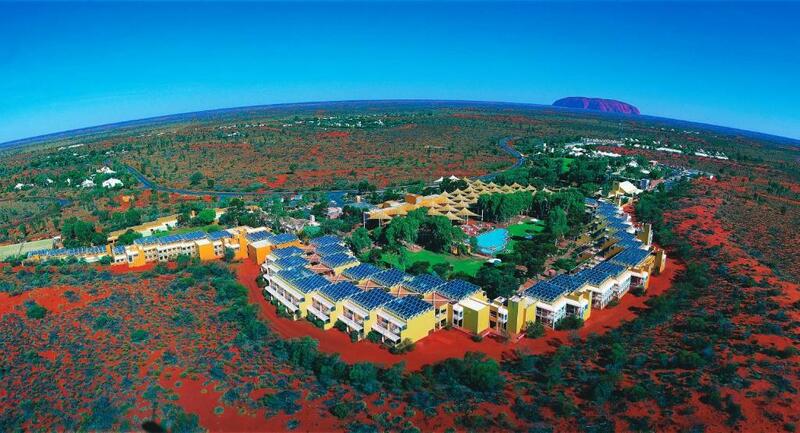 A paradise for families, especially the kids, this 5 star property is one of the best cheap hotels in Australia that offer it all. The 28 acre property features a water park, tennis courts, and mini golf. If you’re up for a good time in the sun, this is the place to be. 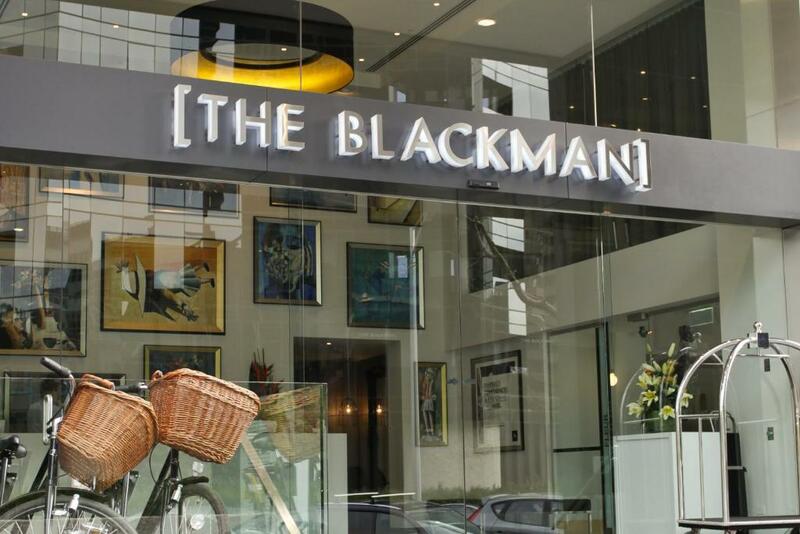 The Blackman in Melbourne is for the creative types, the out of the box thinkers, and for those who want luxury with a twist. 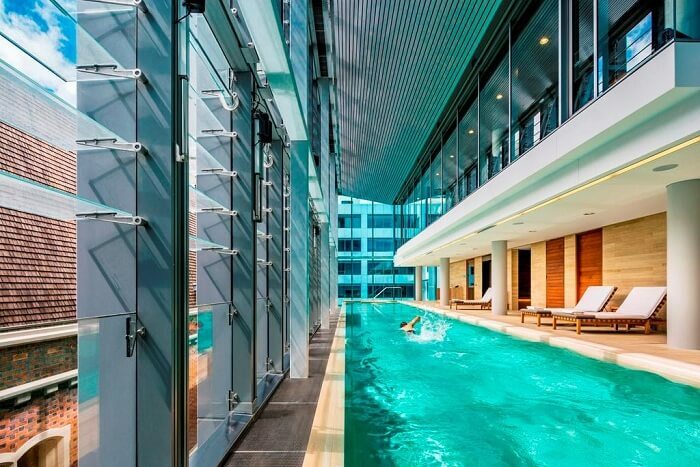 This arty 5 star hotel in Australia offers a unique and contemporary stay experience to its guests. 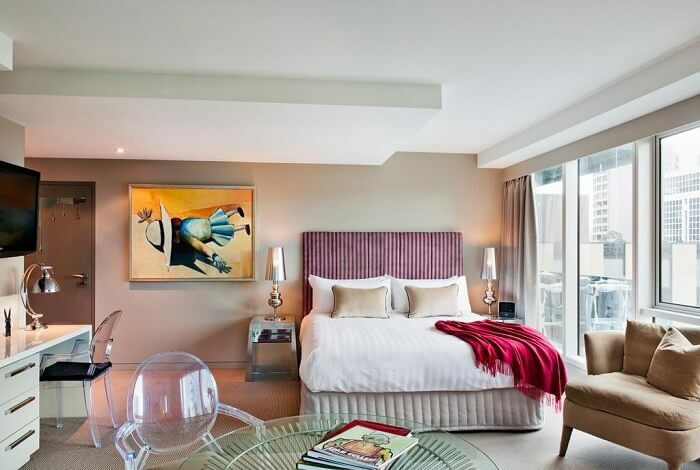 The hotel features vibrant suites, ipod docks, framed paintings, bay views, and rooftop penthouses for the super rich. All in all, you wouldn’t want to miss this fully loaded urban paradise. 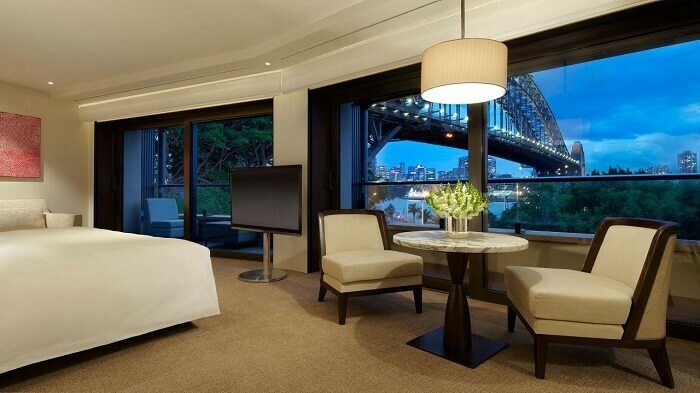 The Four Seasons Sydney is a high rise 5 star hotel that overlooks the Sydney Harbour and its bridge. The decor and features are classic Four Seasons luxury which means you will get to experience the best of the best. From marble bathrooms to minibars, and corner rooms with panoramic views, the options never end at this high end 5 star hotel in Australia. 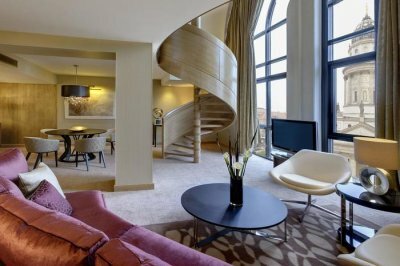 Guests can also book a penthouse suite with access to private lounge. 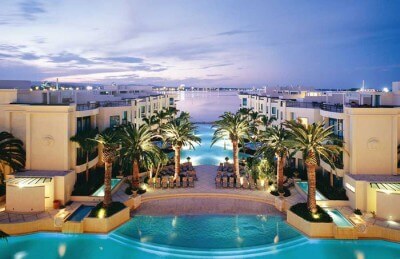 Additionally, there is also a spa, a gym, bar, gourmet restaurant, and an outdoor pool. 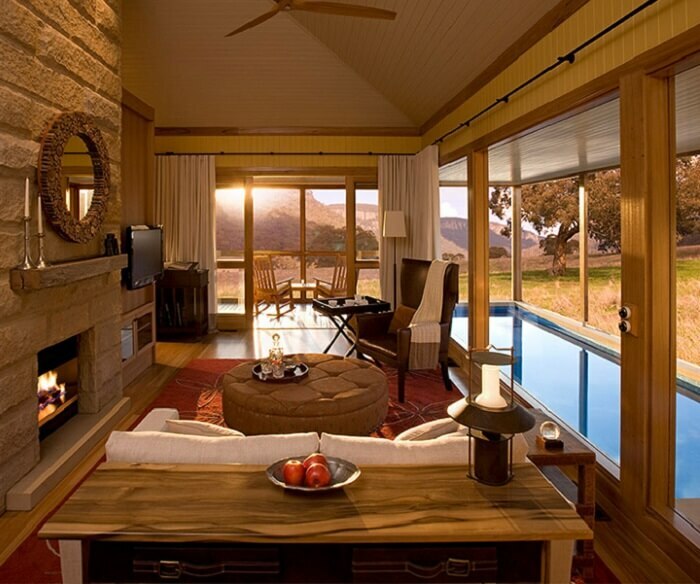 The Silky Oaks Lodge is one of the best 4 star hotels in Australia and delivers a natural experience like none other. 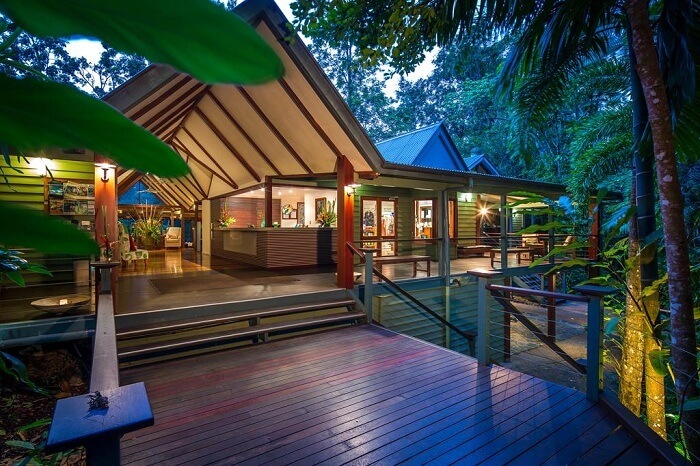 Situated on the forested banks of Mossman Gorge River, this hotel allows its guests to soak in forest views in their private balconies of their treehouse rooms and suites. There is free WIFI, and other modern tech you would expect. Things to do at this hotel includes canoe, biking, tennis, spa, and indulging in some delicious food at the riverside restaurant. Located in Coles Bay Conservation Area, Saffire Freycinet is an ultra luxurious resort that offers breathtaking views and a once in a lifetime holiday experience. The suites here are some of the best in the world and the whole hotel has a very spacious vibe to it. 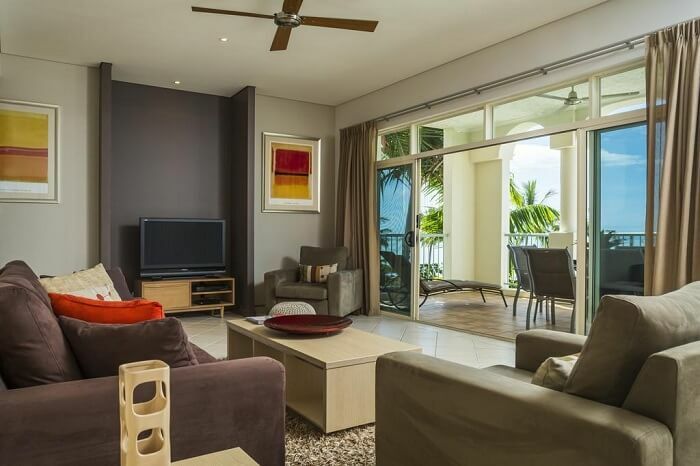 If you upgrade your suite, you would get access to bay views, courtyards with plunge pools, and kitchen. But since this hotel is more about experience, one can go for guided hikes, mountain biking, golfing, and bird watching tours. But if you’re one of those who feel happier inside the property, there is a fireplace, spa, and outdoor lounge area for you too. 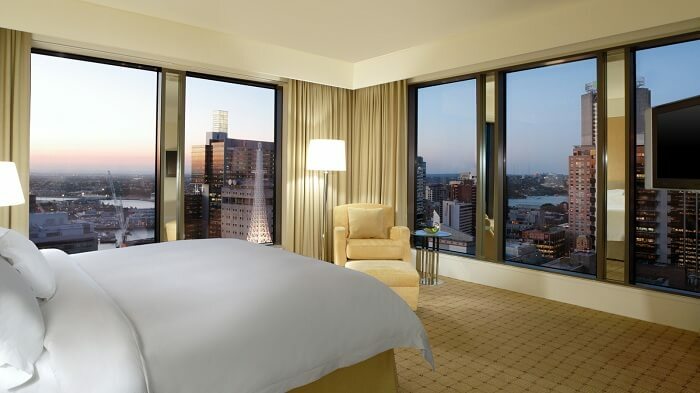 The Westin Sydney is one of the finest hotels in Australia that comes with two 5 star accommodation options. 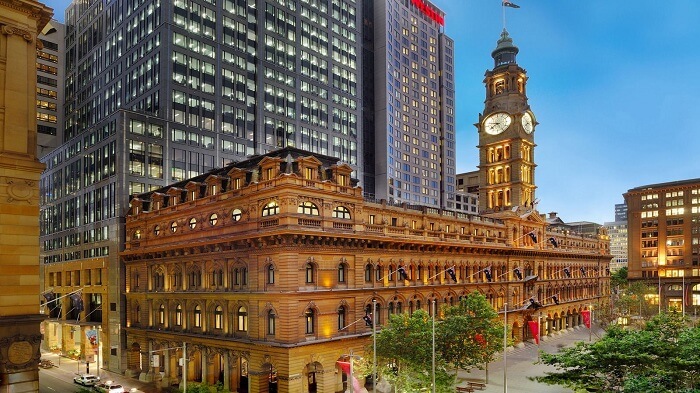 Its General Post Office building has Heritage Rooms and classic luxury while the Tower is more like an urban luxurious paradise. 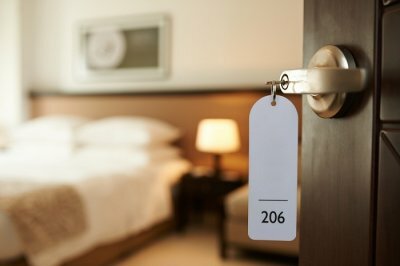 Whatever you choose, the end experience is a delight for the guest. 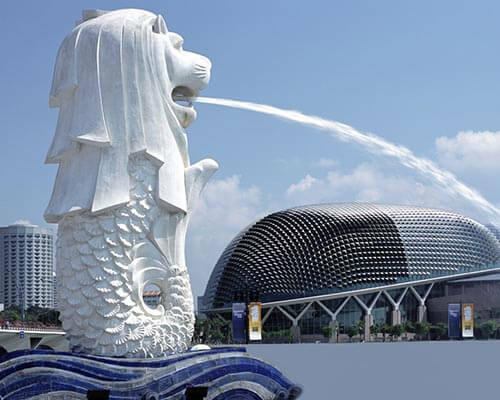 The property also has a restaurant and a bar and for an even better experience of the city, one can always go for designer shopping, visit cafes, theatres, and enjoy the nightlife surrounding the hotel. 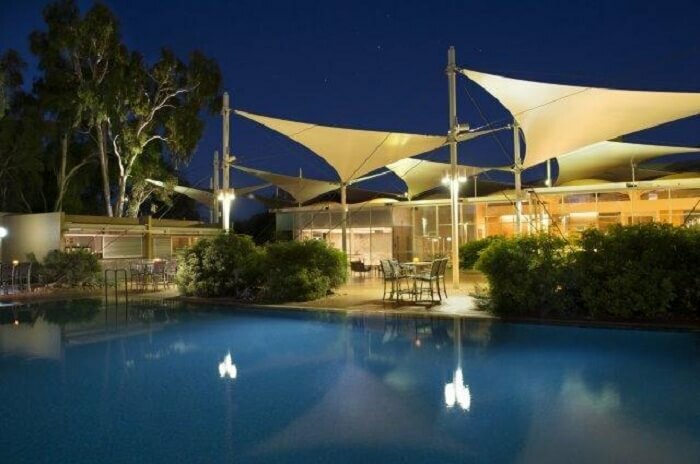 Sails In The Desert is one of the famous 5 star hotels in Australia, especially if you want to soak in the spectacular desert sunrise and sunset. The property also has an all day spa, an outdoor swimming pool, and a tennis court. Special experiences like camel rides and dinner under the stars can also be arranged. Apart from the above, the resort has everything you would expect from a classic luxury along with an added bonus of Aboriginal culture inspired decor for a more authentic desert stay experience. 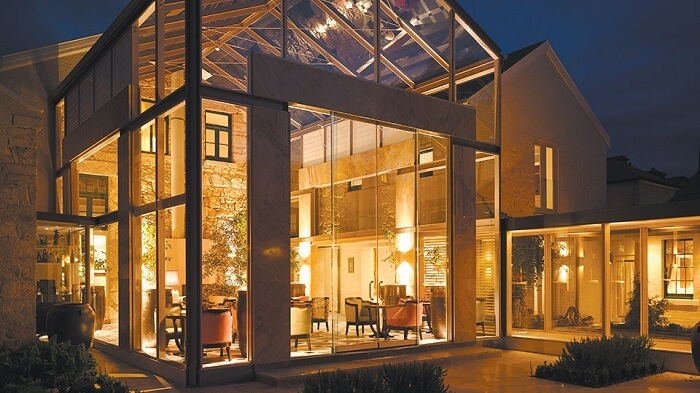 The Louise is an all suite 5 star hotel in Australia that is surrounded by vineyards from all sides. 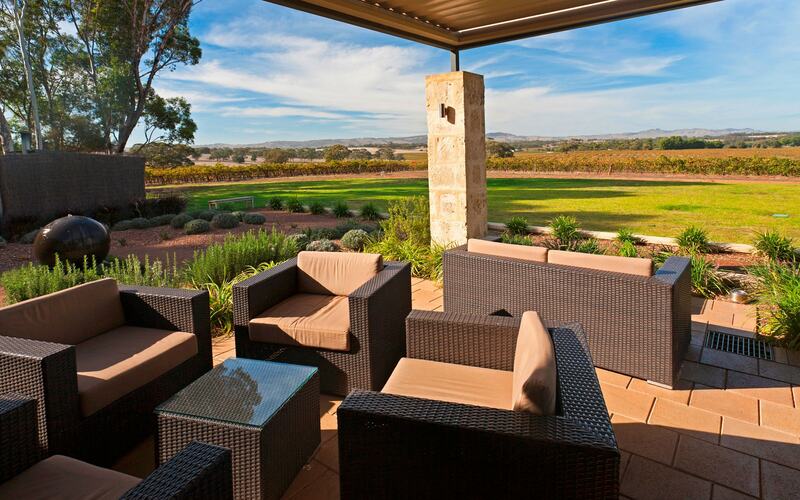 It is one of the best properties to relax and watch time slow down as you indulge in all the wine goodness around it. The suites have top of the line luxury and equipment and some include fireplaces, outdoor showers, vineyard view terraces and coffee machines. There is an upscale restaurant and a wine bar along with sauna and fitness room on the property as well. 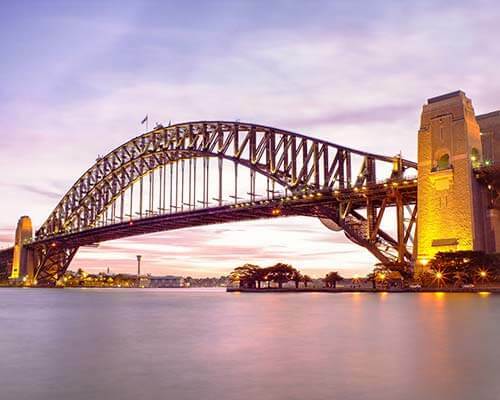 We know the above hotels are enchanting and also that you’re now more than excited to stay at one or more of these best hotels in Australia – but hey, why not make your holiday even better? How? 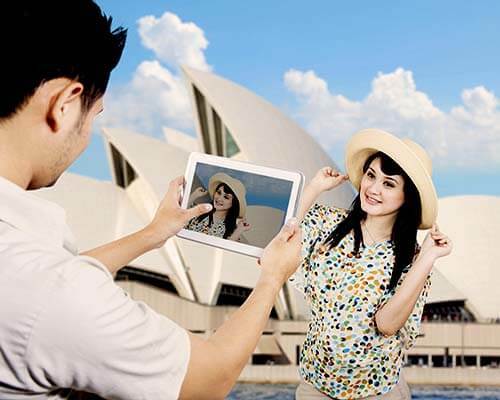 Well, simply choose an Australia Package from TravelTriangle and let us give you a personalized holiday experience.